Farming under most circumstances is difficult. Drought, disease, pests and price volatility all force farmers to make decisions that can determine success or failure. Too often, subsistence farmers in Colombia make those decisions without the benefit of basic information necessary to choose wisely. Today those farmers have new hope because of a project supported by the Dow Sustainability Corps (DSC). Grameen Foundation has long recognized the important role mobile phones can play in the fight against global poverty. The project called for creating a readily accessible database of information and an easy way to gain access to it using the standard technology found on a mobile cellular telephone. 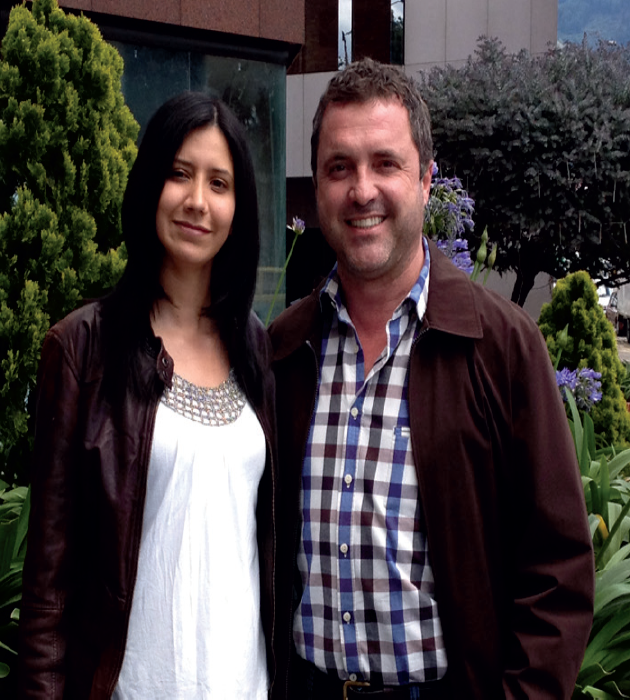 Carlos Madrid and Liliana Velandia Cetina, both of Dow AgroSciences-Colombia, joined with Grameen Foundation and Bankers without Borders in October 2012 to help with the project. The two employees were part of a DSC effort to help build the informational database that would house the data that a farmer would need relating to the lifecycle of crops such as coffee, honey and banana. They loaded the database with all kinds of information such as agricultural best practices, pest control, disease control, soil management and market prices. The leadership at Grameen Foundation is happy as well. "The mobile reference guide developed by Carlos Madrid and Liliana Velandia Cetina is very complete and detailed, and we received excellent feedback from the Grameen Foundation team and from key partners," says Alberto Solano, CEO of Grameen Foundation LAC. "The project was managed with great professionalism and developed in half of the expected time, due to the passion that both Liliana and Carlos put into the work."